Conference Language Interpreters provides interpreting, translation, streaming, and equipment rental services for conference organizers worldwide. 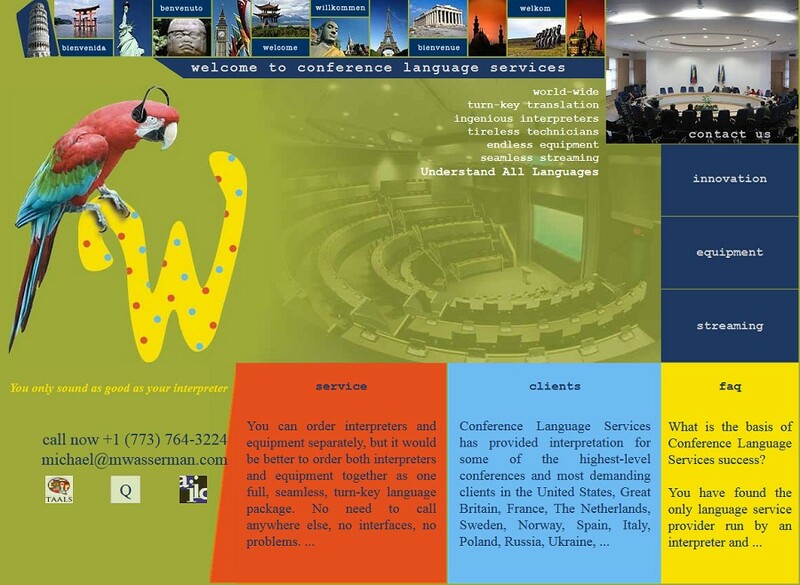 The website’s owner is a talanted interpreter, writer, and artist. While following his creativity, we managed to met W3C standards.